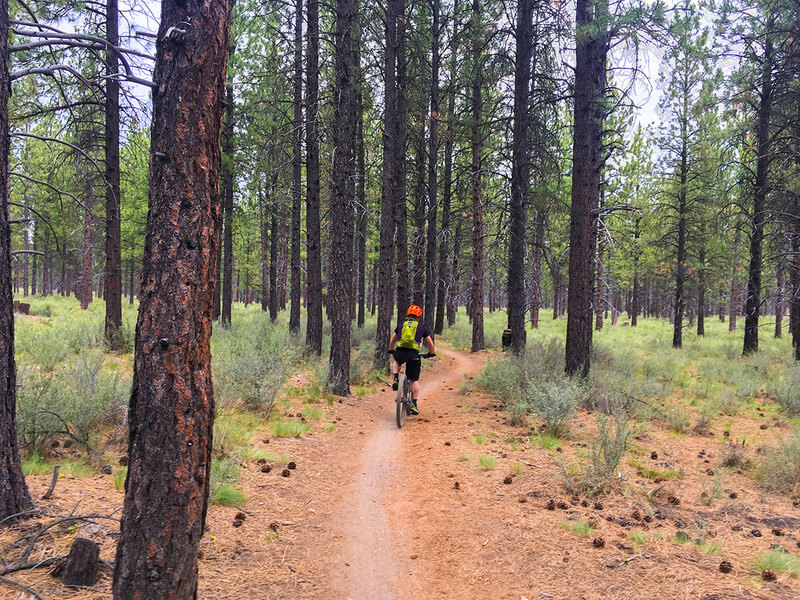 The namesake trail for the popular Phil’s Trailhead in Bend, this mostly one-way trail is a classic mellow descent. 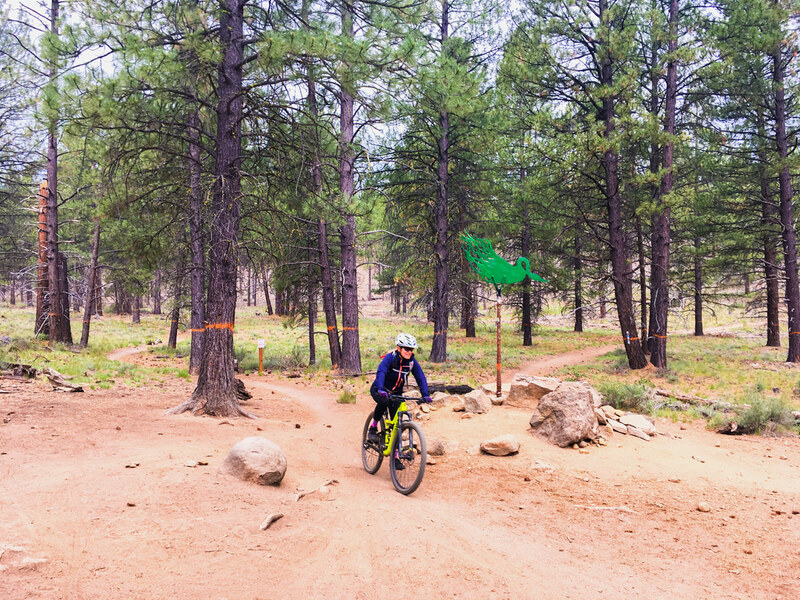 With plenty of fast sections, a few small jumps, and a couple small rock gardens, this is a fantastic trail for aspiring mountain bike riders to test their skills. 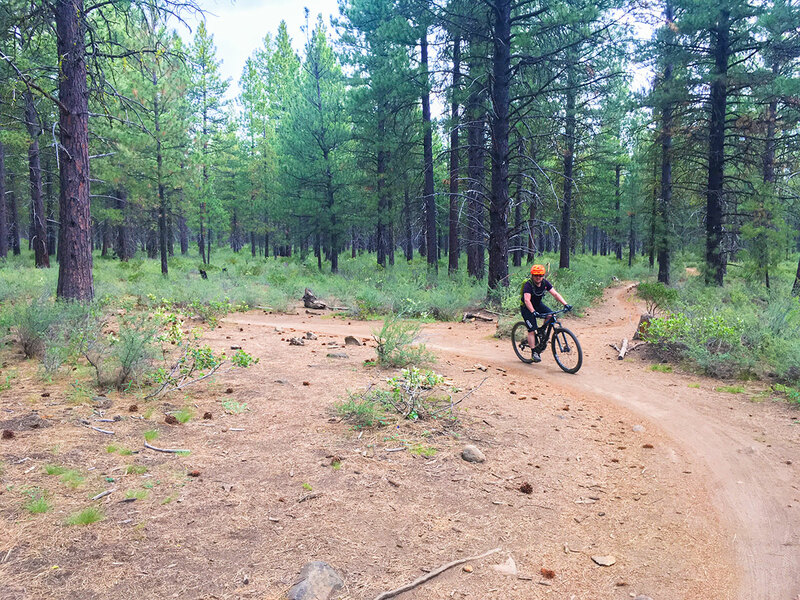 You can either reach this trail by accessing Phil’s trailhead and ascending Kent’s or Ben’s trail, or by parking near the climbing trail for Lower Whoops. To get here take Skyliners Rd west out of Bend. After 8.5km out of town you will turn left onto the National Forest Road number 300 (NF-300). Follow this road for a short while until you reach the obvious parking area. The trailhead is approximately 200 yards down NF-300, on your left. Whenever the snow clears from the lower trails! Usually late spring or early summer. Beginning at the turnoff from the forest road you will start along the mostly flat easy trail. Soon you will reach a large junction with Kent’s Trail, where you will continue straight to begin along the proper Phil’s Trail. Here the trail will start to descend, and the speeds will increase. Though there aren’t built up berms like on Whoops, it is quite easy to maintain speed around the fast corners. 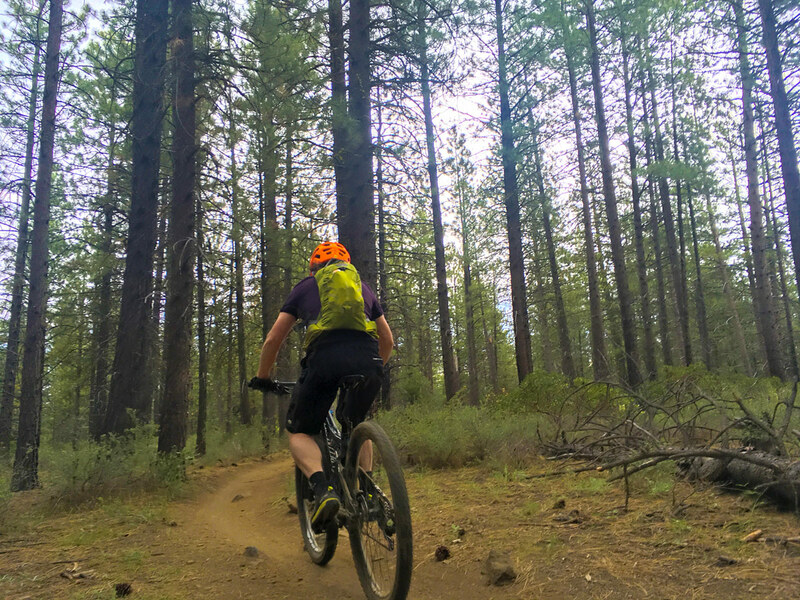 You will wind through the stunning ponderosa pine trees, descending a few small rock gardens. There are also a number of small table top jumps to try out. These are all easily rolled over, and they are excellent for developing you’re jumping technique! Approximately halfway down the trail you will reach the classic ‘chicken junction’. Here is a large metal chicken lying on top of an optional technical feature. Continue strait along Phil’s Trail. Here the descent mellows out a bit and you will almost certainly have to pedal a little more. 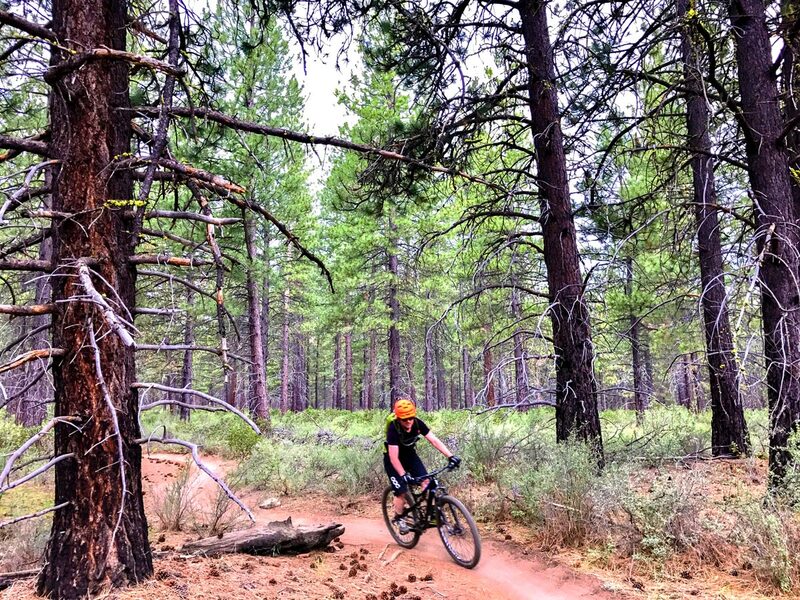 That being said, a few dozen more berms later you will be back at the Phil’s Trailhead proper. 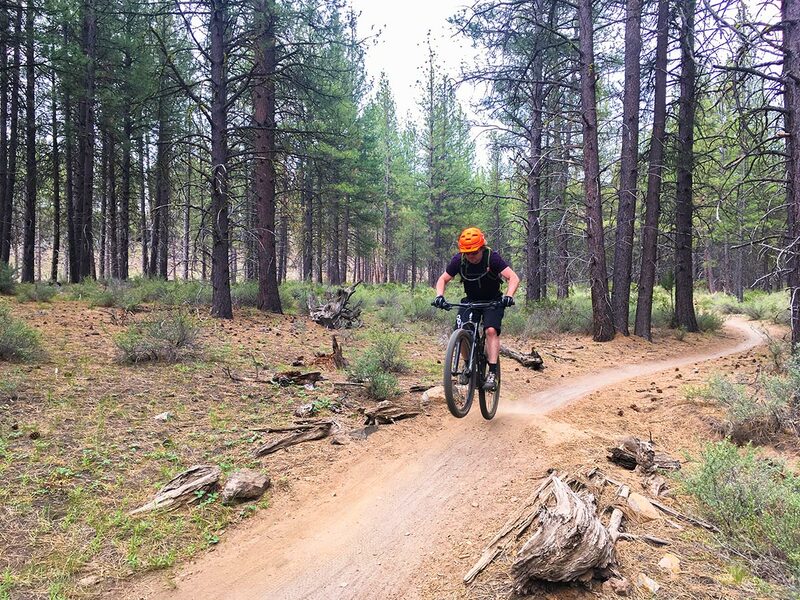 Connecting Ben’s Trail with Phil’s is arguably the most classic one-way cross-country loop in the trail system! 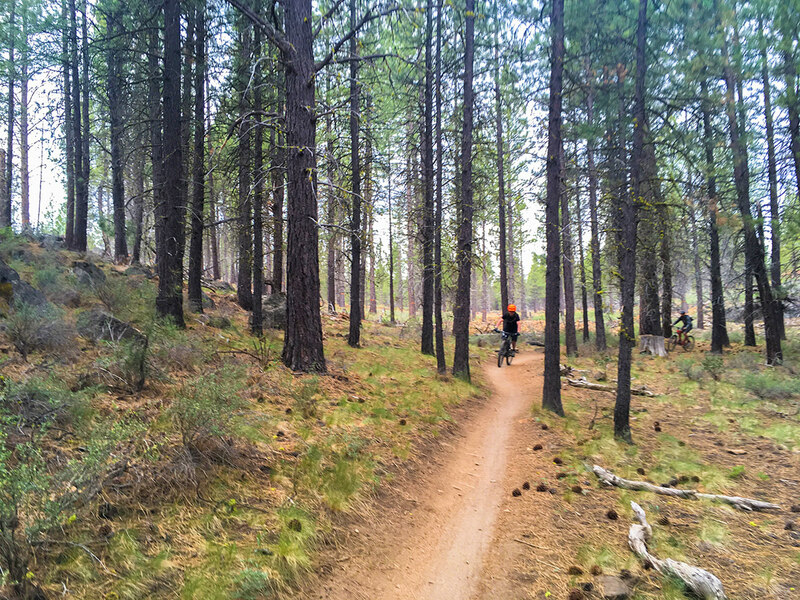 Head into Bend after your ride for a cold beer and a burger.